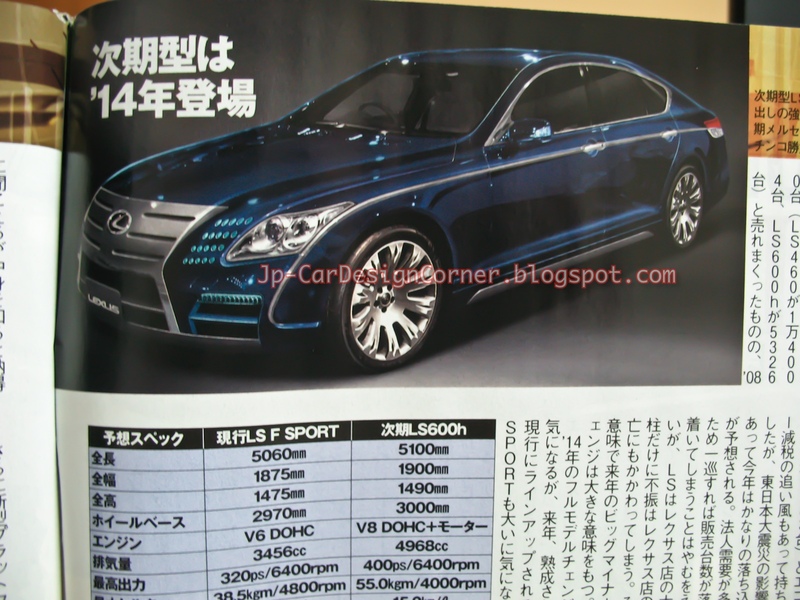 Initial reports suggested that the all-new Lexus LS (earlier post) will be introduced in 2013, but BC claims now that the new model will be introduced in 2014 instead. BC published also this rendering, which looks completely different compared to the previous ones. The LS 600h will use a 5.0L V6 engine plus the latest-gen hybrid system, which will enable it to achieve a fuel efficiency of 15.0 km/L. Well, it's not bad at all considering that it's a really big car and it has 400 ps + 55.0 kgm of torque! An 8 gear automatic transmission will be fitted. 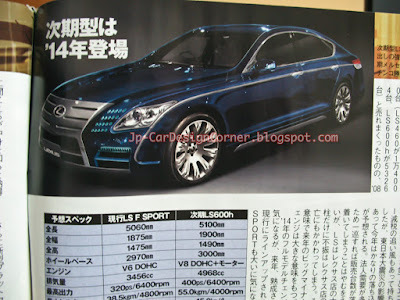 The article mentions that an LS F Sport will be also introduced, powered by a 3.5L V6 engine. In terms of performance, 320 ps and 38.5 kgm of torque are the estimated numbers.